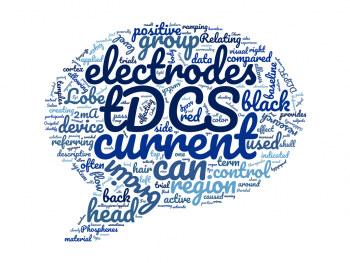 Have you been reading about tDCS but are having a hard time deciphering the various terminologies being used? Well, you’re in the right place! Based on our research, this is the first and only attempt to collect and define the most commonly used brain stimulation terms and acronyms. We spent hours talking to customers, researching what’s out there, and compiling/organizing data, in hopes that this list of commonly​ used tDCS terminology will benefit others who are seeking to learn and understand more about Transcranial Direct Current Stimulation. The terms included in this “dictionary” were compiled from questions asked by our customers, scientific articles, from our own curiosity, and also from previously undefined basic terminology for those new to tDCS. If you find this information helpful, please share it with others! 1mA: One milliamps of current (electricity). 2mA: Two milliamps of current (electricity). 10/20 System: A guide originally created to assist in the correct placement of EEG (Electroencephalograph) electrodes on the human head, but has adapted to become a general placement “map” for pointing out different areas of the brain. Codes are used to pinpoint the different placement locations, consisting of a number, preceded by 1 or 2 letter (Ex: F10, C3, Fp1). In tDCS, the Anode and Cathode electrode placement positions (AKA “montages”) are usually follow this alpha-numeric placement system. For example, the most common tDCS electrode placement for depression involves placing the Anode electrode at F3 (left DLPFC) and the Cathode at Fp2 (right prefrontal cortex), as can be seen here. You can view images of the 10/20 placement system here. 9v: 9 volts. In tDCS, usually referring to a 9-volt battery. Anchor (electrode): Referring to the Cathode (negative, black) electrode. Active (electrode) : Referring to the Anode (positive, red) electrode. Anodal: A descriptive term referring to the Anode (positive, red) electrode. Anode: In tDCS, the positive (+) “stimulating” electrode, usually indicated with the color red. Bilateral: Relating to or affecting both sides. Cathodal: A descriptive term referring to the Cathode (negative, black) electrode. Cathode: In tDCS, the negative (-) electrode, usually indicated with the color black. Central Lobe: A region of the brain located approximately above the temples. Contralateral: Relating to the opposite side of the body to that on which a particular something occurs. Electrode: A pad, sponge, or other conductive material which (in tDCS) is placed on the head, allowing current (electricity) from the tDCS device to pass through to the surface it is placed against. The electrodes used for tDCS are almost always comprised of some form of sponge material, as when wetted the sponge can can easily conform to the curvature of the head. Furthermore, and most importantly, the applied liquid allows current to flow through any hair covering the stimulation site. Frontal Lobe: A region of the brain located just above the forehead. Frontopolar: A region of the brain located at the forehead. Inactive (electrode): Referring to the Cathode (negative, black) electrode. Inhibiting (electrode): Referring to the Cathode (negative, black) electrode. Inion: The projecting section of the occipital bone located at the back of the skull. Leads: The wires connecting a tDCS device to the electrodes, allowing for the delivery of current between the device and electrodes. mA: Milliamp, one thousandth of an ampere. A measurement of current (electricity). Most tDCS devices can be adjusted to produce between 0 and 2mA of current. 2mA is the maximum recommended current level to use with tDCS based on the parameters used in nearly all of the scientific studies on the topic. Montage: The specific locations on the scalp that the electrodes are placed over. Occipital Lobe: A region of the brain located around the back of the head. Parietal Lobe: A region of the brain located between the back of the head and the top of the head. Phosphenes: A harmless visual sensation often characterized as a brief flash of white light, caused from current passing through visual cortex (eye region). Phosphenes can usually be avoided by moving the electrodes away from the eyes, and by “ramping” the current level at the start and end of a stimulation session. Placebo: A substance or activity that has no therapeutic effect. Placebos are often given/applied to a portion of the participants involved in a research trial (referred to as the “control” group), creating valuable “baseline” data, which is then compared against the “active” group to determine the result of the trial. creating a “control group” to which the active group’s data can be compared to. is used to compare to “control” or baseline and is often used as a control in research trials. Ramp/Ramping: Referring to the act of slowly increasing or decreasing the level of current being output produced by a tDCS device, as opposed to an immediate “switch on” or “switch off” of current flow. As a feature, ramping generally provides for a more comfortable stimulation experience. Reference (electrode): Referring to the Cathode (negative, black) electrode. Saline Solution: A mixture of salt and water which is applied to sponge electrodes to allow current to pass through the electrodes more effectively. Sham (stimulation): A research term to identify a group of subjects who receive very weak or no stimulation to create a control group. During clinical trials, setting up a “sham” group allows researchers to account for the placebo effect and provides them with baseline data that can be compared to the group receiving active stimulation. Shunting: An event in which the flow of current from the tDCS device, is diverted from its intended path through the brain, and instead can travel through blood vessels in the scalp, the top layer of the skull, and sometimes through through wet hair. Shunting can be caused by over wetting sponge electrodes, which can saturate the surrounding hair. Additionally, the probability of shunting increased when the electrodes are placed to close to each other. Stimulating (electrode): Referring to the Anode (positive, red) electrode. Temporal Lobe: A region of the brain located around and in back of the temples.